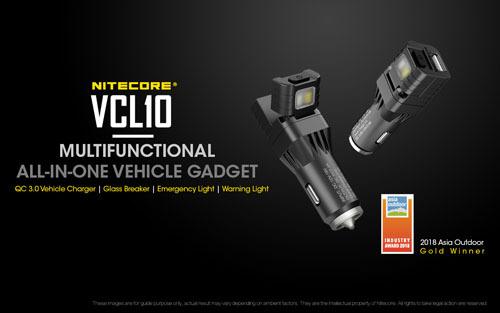 The Nitecore NTK10 is the first knife from Nitecore and offers a range of excellent features that collectors and novices alike will love. The knife is made from aero grade titanium alloy which provides high strength, low density and strong corrosion resistance. 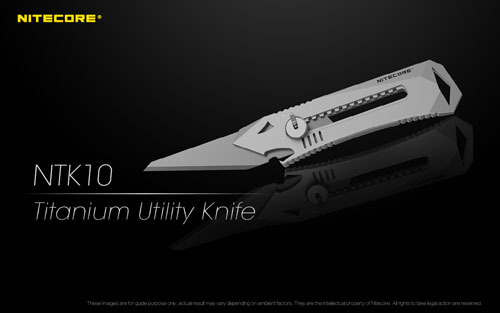 The blade of the NTK10 is retractable and runs on a smooth mechanism to provide the ideal length for the job at hand. The knife can be used with one hand and has multiple locking grooves which allow a free control of blade length with sharp precision. Once at your desired length, the knife has a blade lock which keeps it firmly in place.